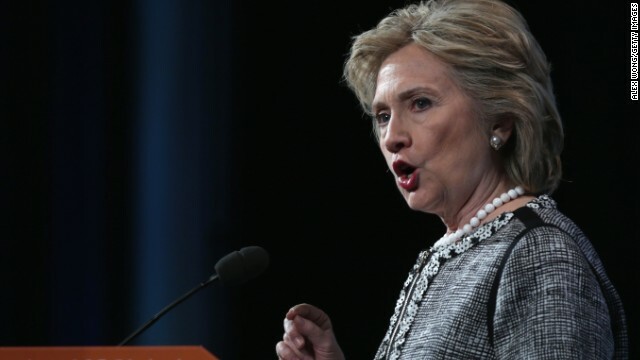 (CNN) - Promotion of Hillary Clinton's book "Hard Choices" will begin in earnest on Monday, June 9 when ABC's Diane Sawyer interviews her in a one-hour prime time special. The prime time hour was announced on Tuesday by ABC, ending months of jockeying to land Clinton's first TV interview tied to the book. ABC said that a portion of the taped interview would be shown before the prime time special on Sawyer's nightly newscast, "World News." The network will also have Clinton's first live interview about the book – it will take place the morning after the prime time hour on "Good Morning America." Robin Roberts will conduct that interview. Roberts last interviewed Clinton on May 7 at a Philanthropy New York event in New York City. Although Roberts asked about House Republican's select committee on Benghazi and the Nigerian government's handling of almost 300 kidnapped schoolgirls, eyebrows were raised when the anchor did not ask about Monica Lewinsky, the White House intern who had an affair with former President Bill Clinton. Vanity Fair teased an essay by Lewinsky the day before the event. Prime time specials and live morning show follow-ups are two interview formats that television networks like to pitch to A-list guests. Clinton is as A-list as they come, given the omnipresent speculation about whether she will run for president in 2016. Her book "Hard Choices" is due to be published on June 10. The Washington Post reported last month that ABC and CBS had "the most advantageous positions" in the competition for her first TV interview tied to the book. Another "first" for the book have already happened: Vogue's Web site published an excerpt from it on Mother's Day. What exactly would HRC know about "hard choices?" History shows she takes the easy way out of decisions over and over again. Still catching up rereading Absolute Power, and THAT she understands. 0 look look a here its the H. Clinton clown car winding down the road show she has l0ts of trix and surprises to last you an yours and mine to 12 life times and one m0re to grow on and for g00d luck ? The daily Hillary and Bill show........CNN propaganda for fools. Who would buy it. She is so over-saturated. Can you please, please report on real news? Bring the ice cream and the soft ball! Will this be a gossip session? Will she backstab Obama by calling him a failure and claim she is not like him? With Biden waiting in the wings, it could be a matter of time. Hard Choices, indeed. Look, we're absolutely screwed, she will win, the rest stays the same, and we suffer through eight more years of total, childish obstruction, yippie! And the rest of the world moves by, how nice. It going to be a long road to nowhere for Hillary. She just ain't qualified to be in charge of anything.
" eyebrows were raised when the anchor did not ask about Monica Lewinsky" ?????? That's nuts. Old 'scandals' just don't die with you guys do they? Do you think you'll find MH370 in Lewinsky? Wouldn't it be nice to see our media cover conservative women in the same matter they do with liberal women. Sarah Palin has pointed out the double-standard. Guns Over People teatards are TERRIFIED of Hillary. They are shaking in their boots before she even says that she will run. -tell you all these right wingers of Teaklans, Republicans, GOP third century thinking guys have absolutely "NO CLUE". As to what this nation is thinking other than Obamacare which is needed for century, nor cooked up stuff of VA, nor Benghazi. These things they think important to win–pathetic. Yes, Hillary16. Drive these republican trash out.